Now open the .png files with your favorite image viewer. You may also want to take a look at the Gephi program to display the .dot files directly. 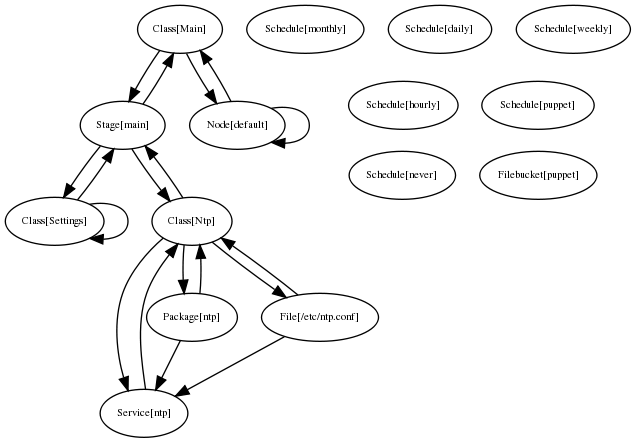 This entry was posted in Cloud Computing and tagged Puppet, Visualization. Bookmark the permalink. You could also display them nicely in Instaviz, which uses an embedded Graphviz to display and manipulate graphs on iOS. I just released 2.0, do check it out!